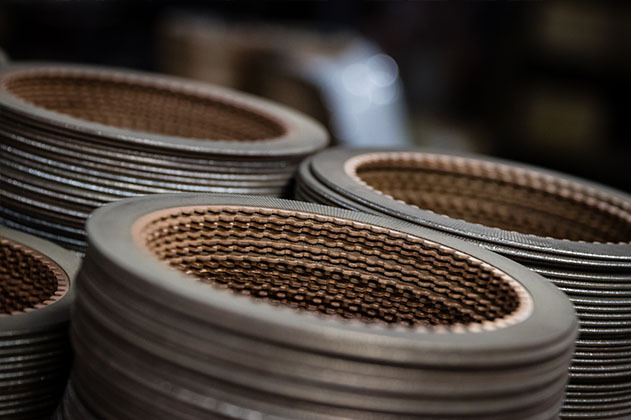 The originator of sintered metallic friction materials, GMP Friction Products continues to manufacture our one-of-a-kind copper powder, which gives us distinctive performance and manufacturing advantages. 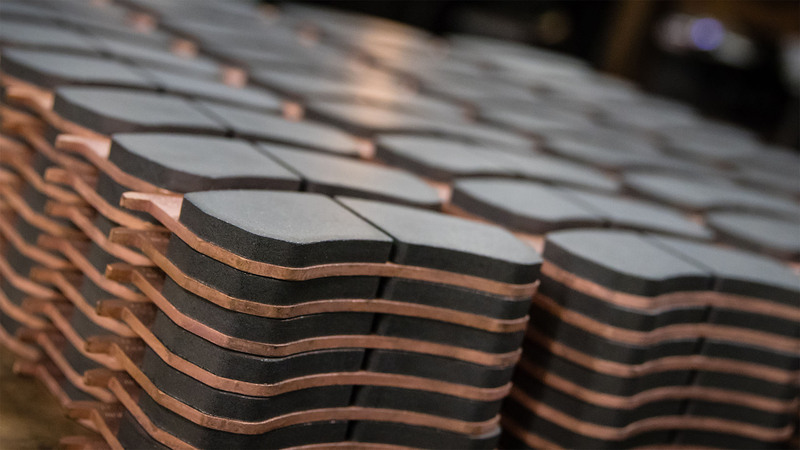 In addition, we make multiple types of friction materials, including sintered iron, sintered bronze, and iron-bronze mixes, as well as high content ceramic materials. 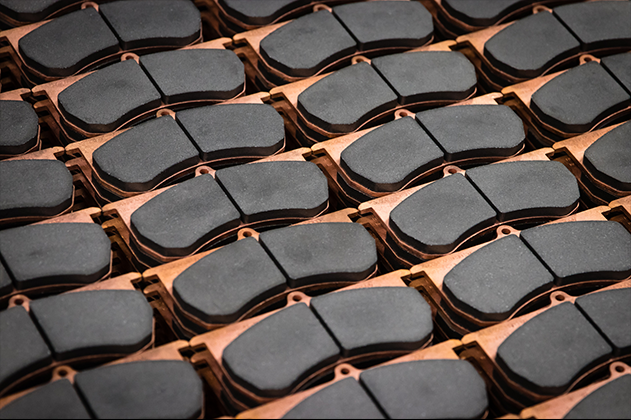 Our standard formulas are used in a diverse array of applications, so there’s a good chance we have a sintered friction material for you; if you don’t find one that perfectly meets your needs, however, we can formulate a friction material specifically for your application. 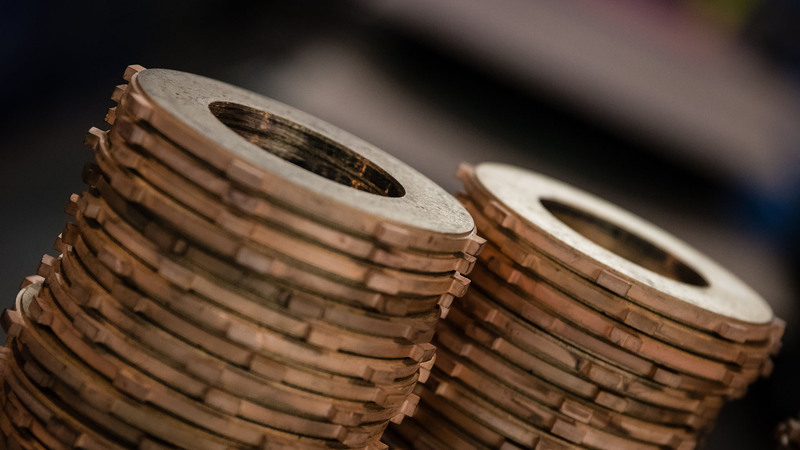 Whether you need an increased coefficient of friction, lower wear rates, unique torque curves, or any of countless other modifications, we can custom engineer a friction material for you. 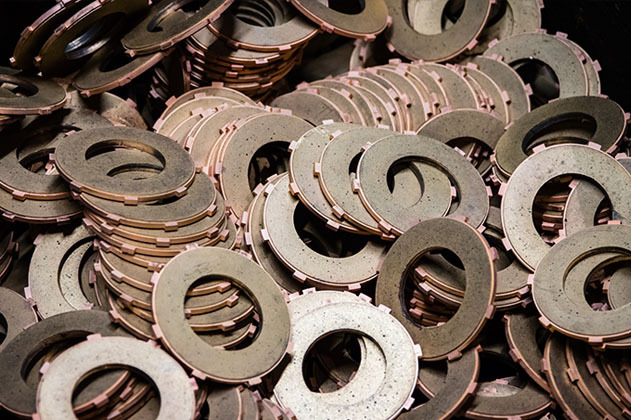 We also offer an extensive selection of components for various environments, from dry braking and dry clutching to wet braking and wet clutching. Beyond a standard offering of products, GMP Friction also offers custom solutions. Every material we have was initially developed as a solution to a customer’s unique problem. GMP's materials are well suited not only for dry brakes and clutches but for wet friction applications as well.